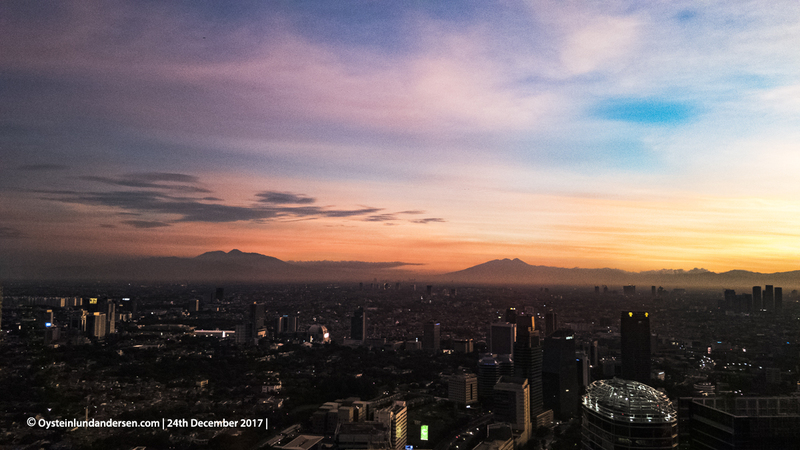 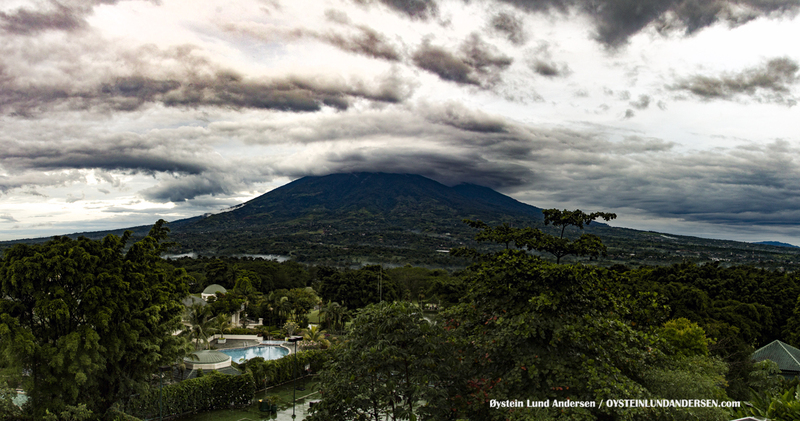 Salak volcano is located around 60km South of Jakarta, in West-Java, in the vicinity of the city of Bogor. 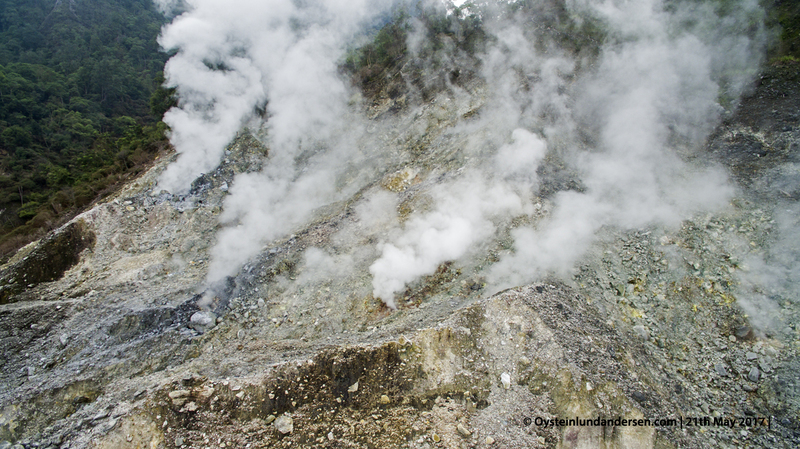 The volcano was constructed at the NE end of an eroded volcanic range. 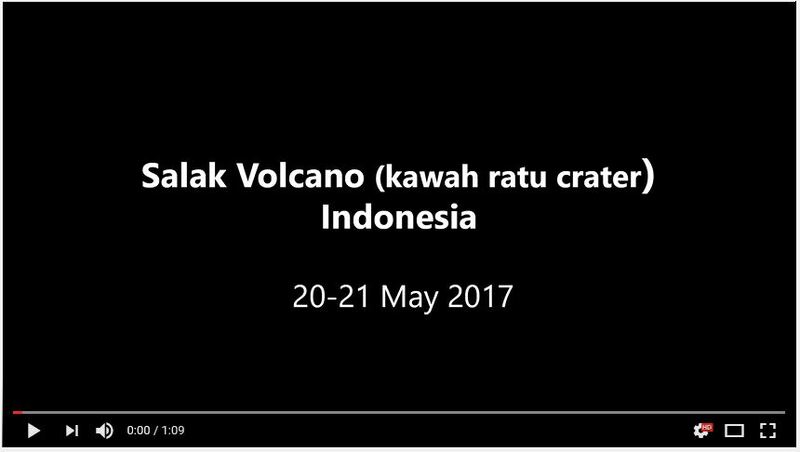 Two large breached craters truncate the summit of Salak. 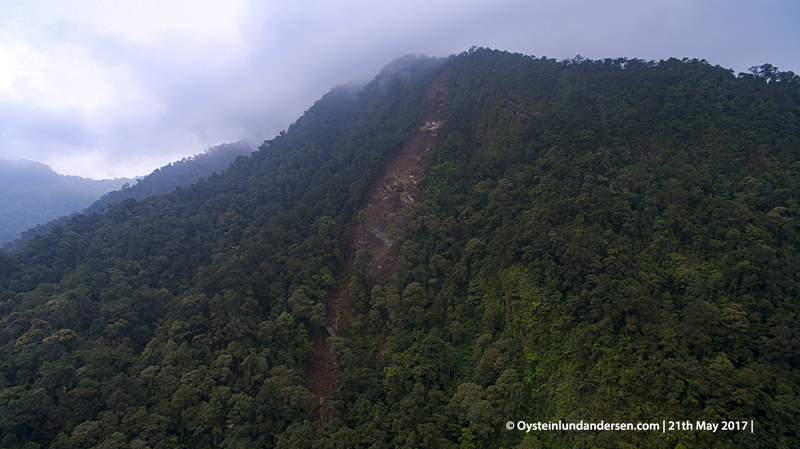 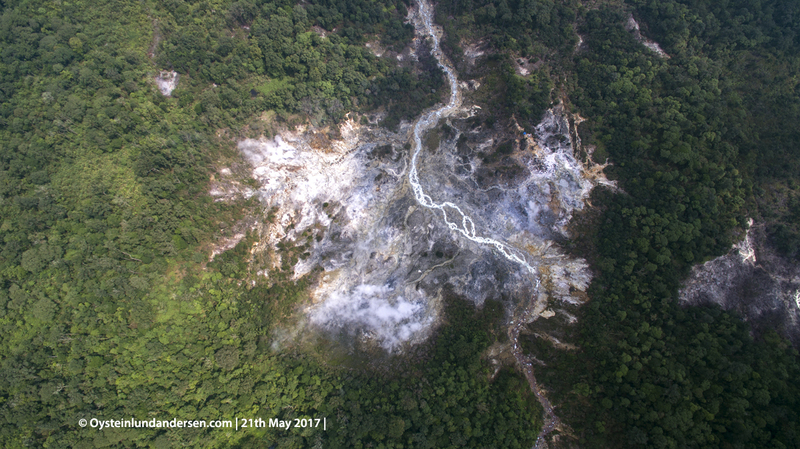 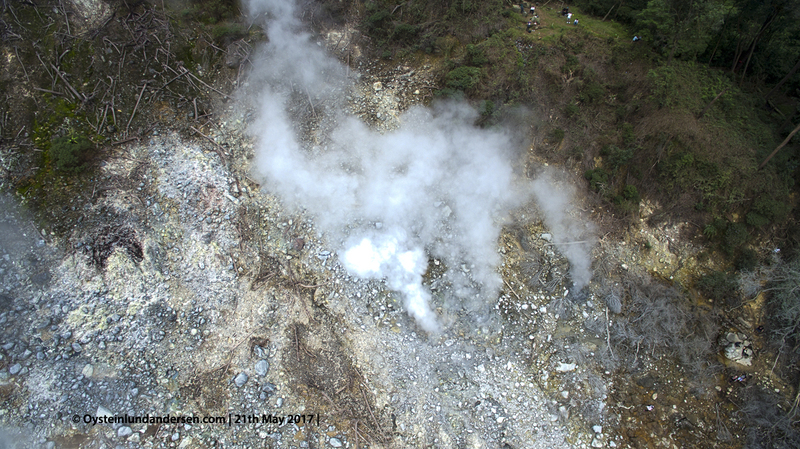 One crater is breached to the NE and the westernmost crater was the source of a debris-avalanche deposit that extends 10 km WNW of the summit. 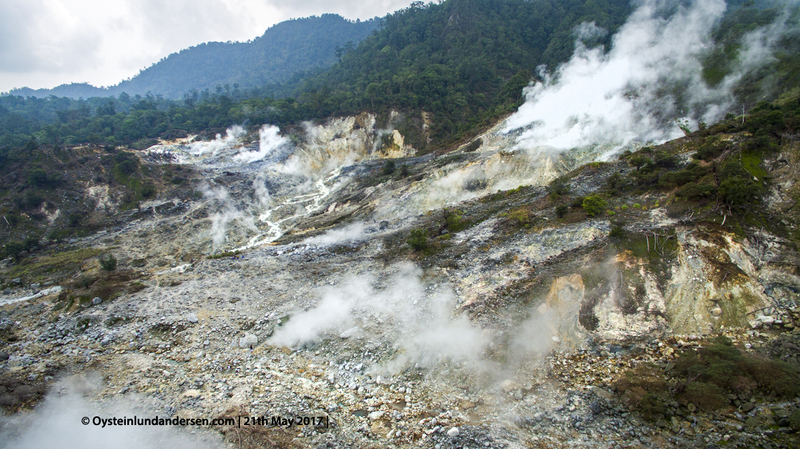 Historical eruptions from Salak have been restricted to phreatic explosions from craters in a prominent solfataric area at 1400 m on the western flank. 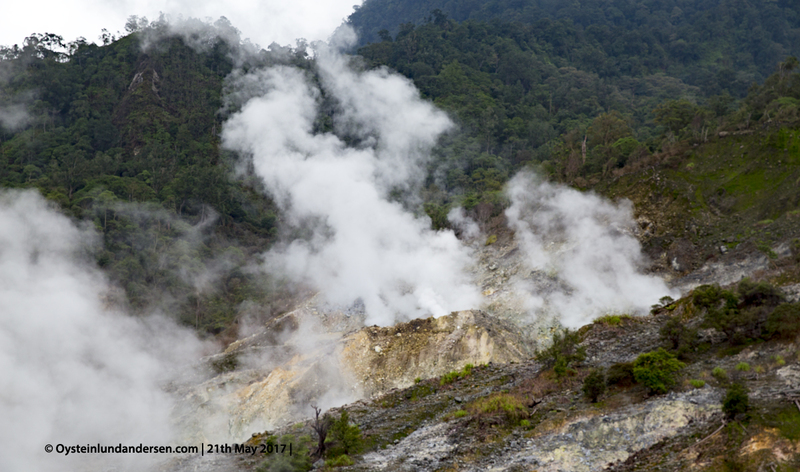 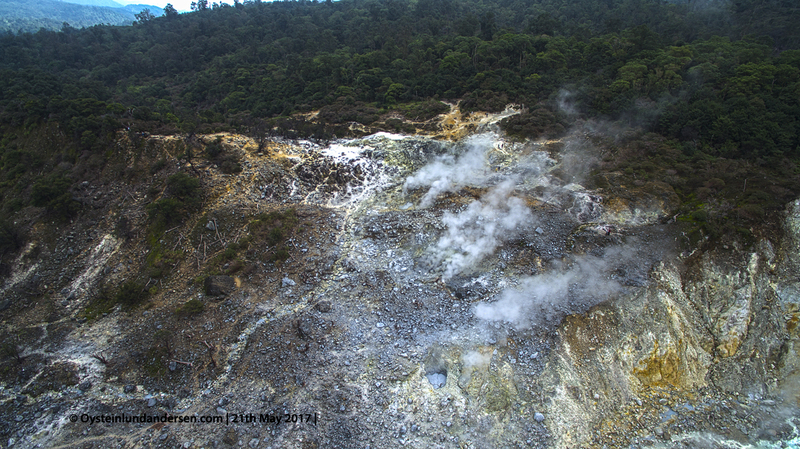 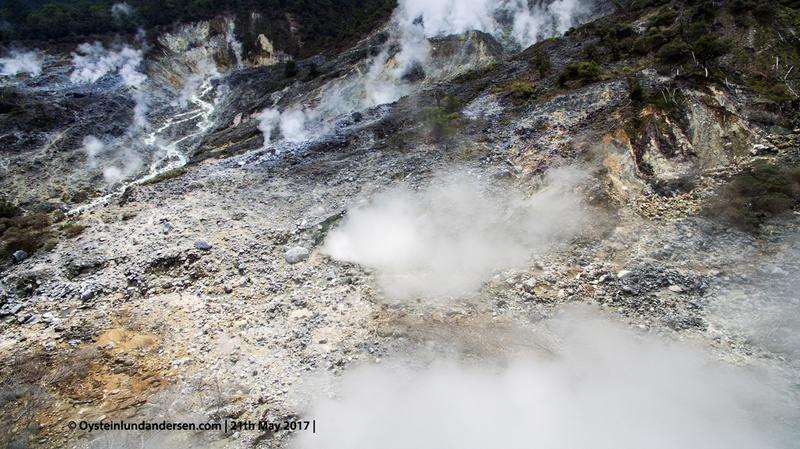 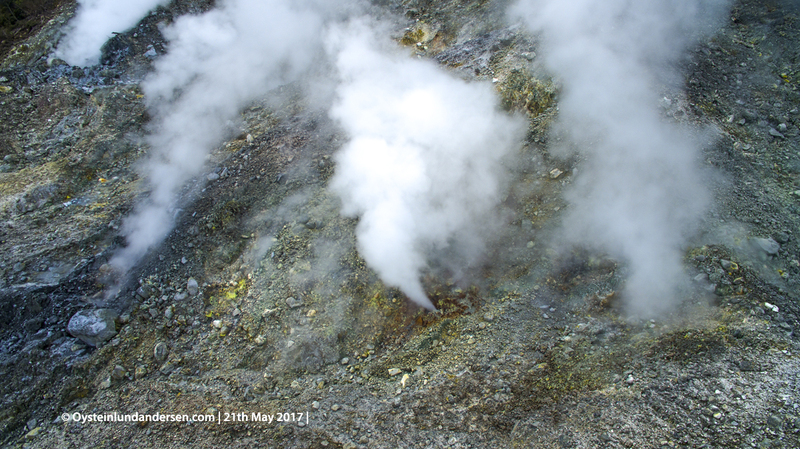 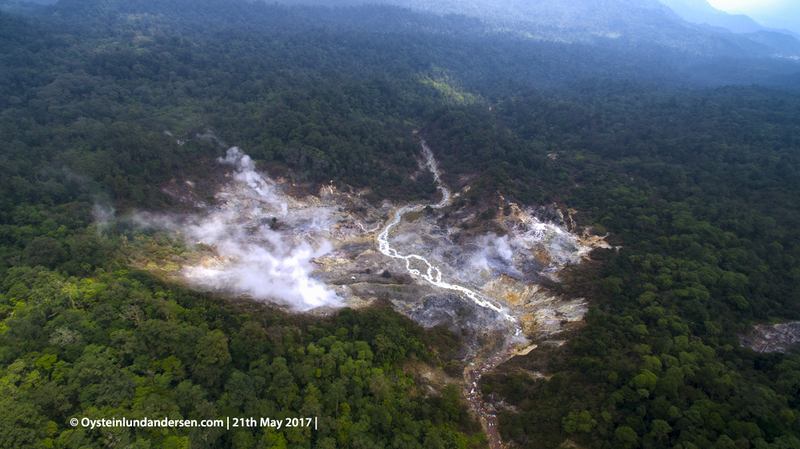 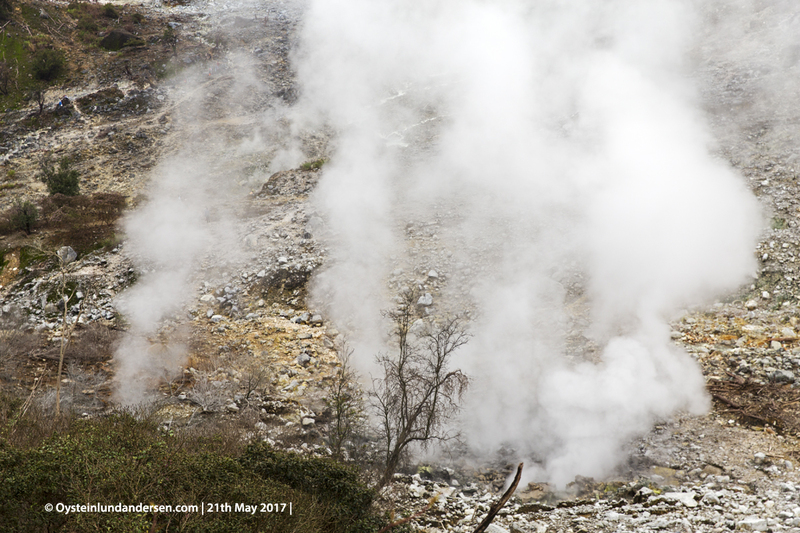 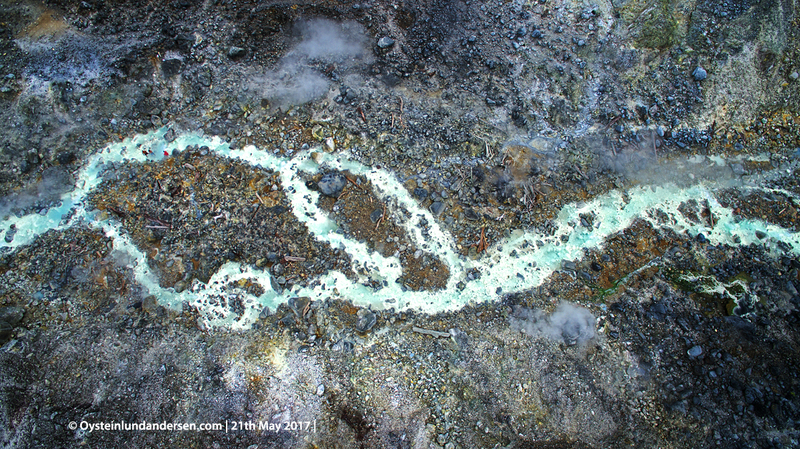 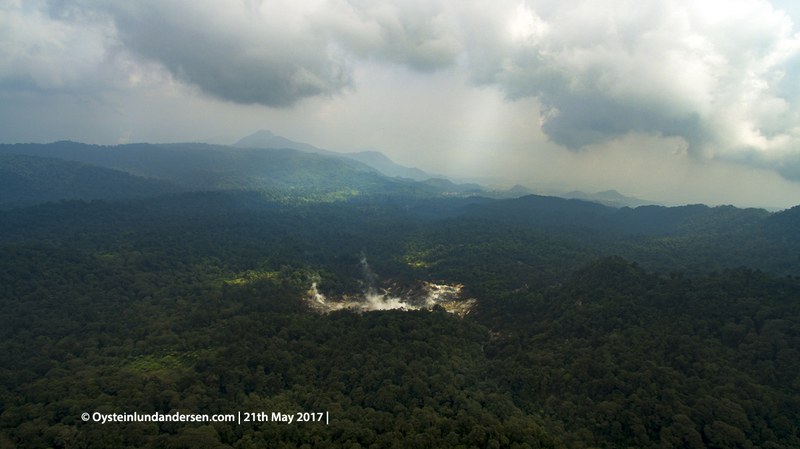 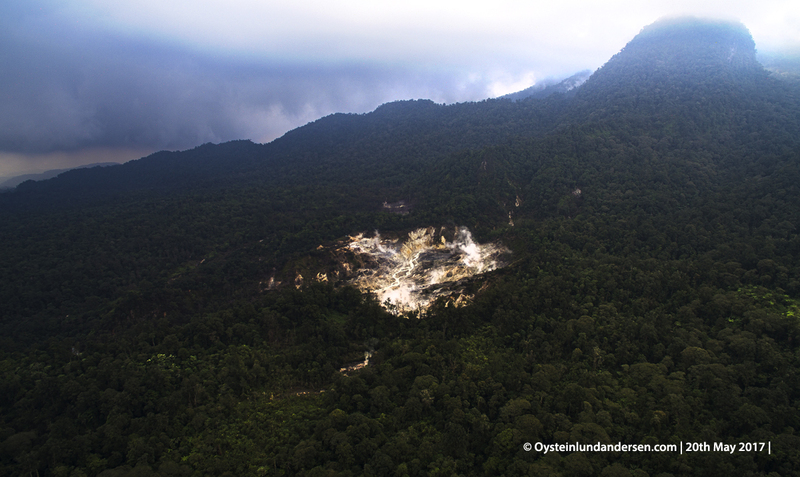 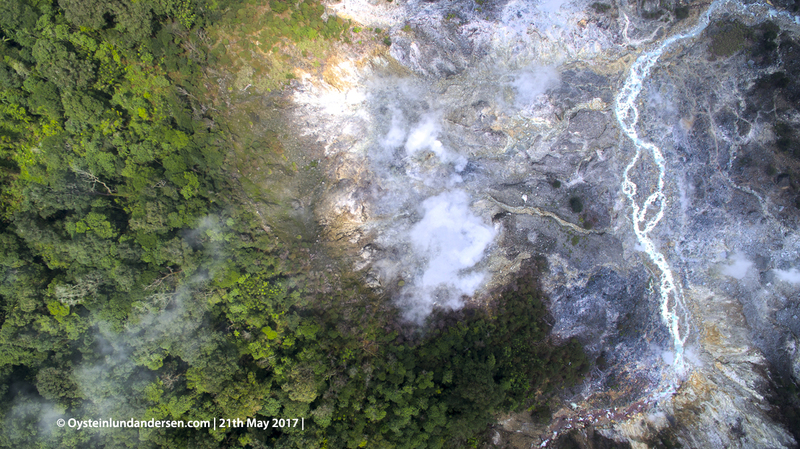 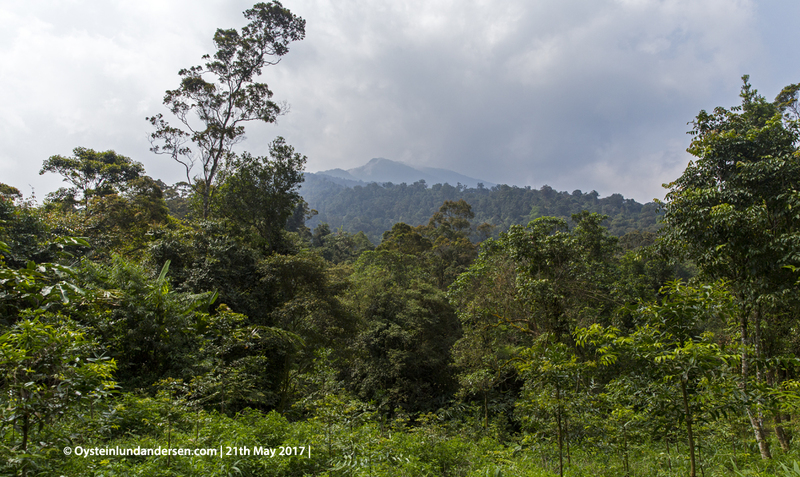 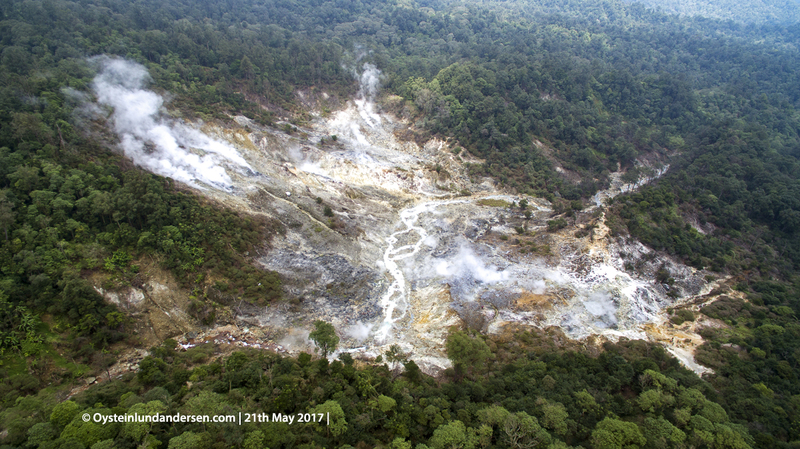 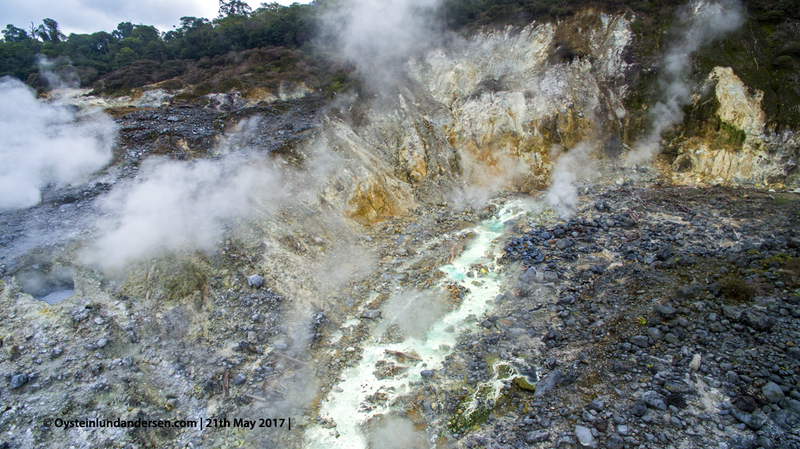 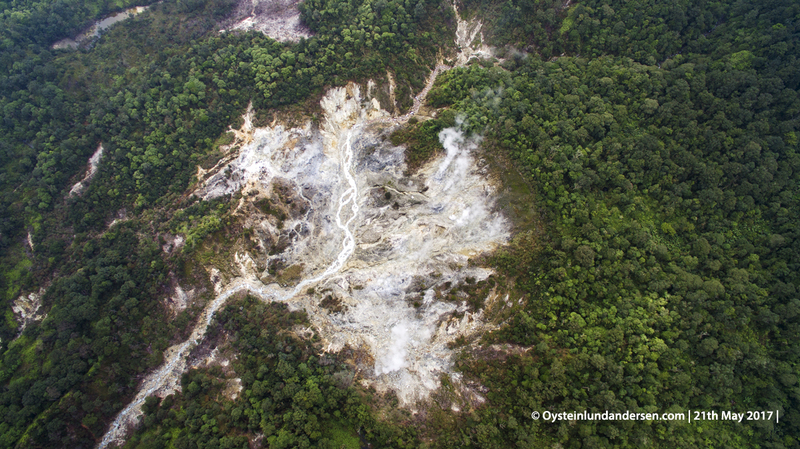 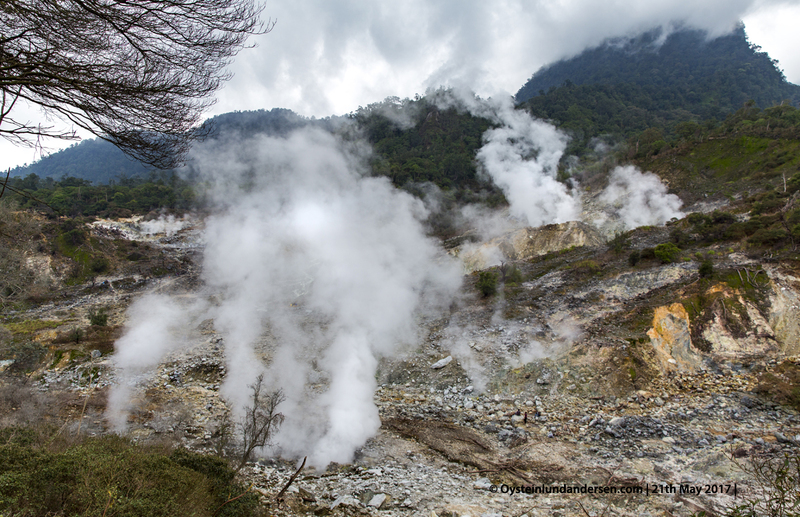 Salak volcano has been the site of extensive geothermal exploration. 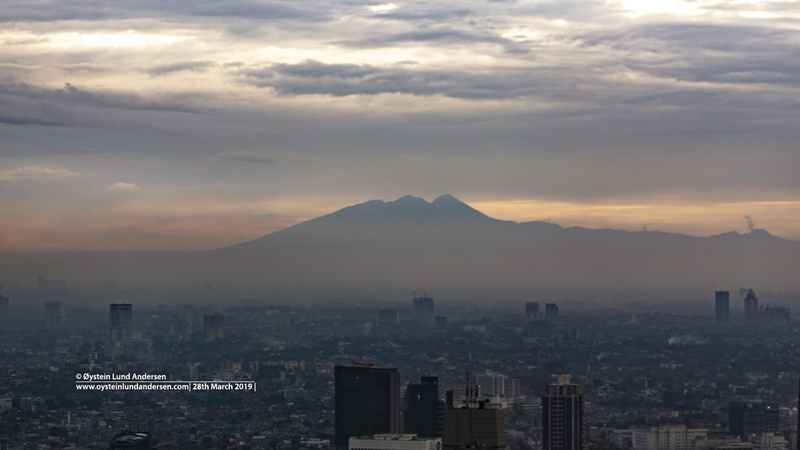 Salak with its peak covered by clouds in the morning. 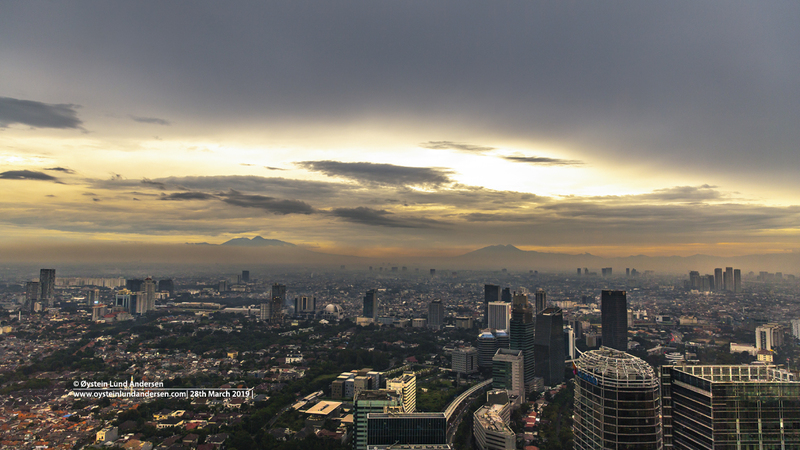 The mountain is often covered by clouds, and the City of Bogor is sometimes nicknamed “Rain City”, and ranks among the highest on the list of places which gets most lightning strikes per year.